Valve has finally - finally! - announced a new game. 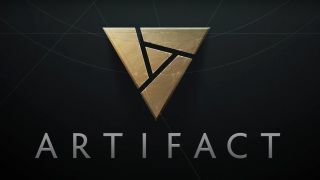 It's called Artifact, and it's a... card game spin-off of Dota. Oh. The reaction from the gaming community has not been particularly positive. "I spent years of my life in total devotion to Valve. I was part of the inner fanboy community to the point of even helping with long-running news concerning specifically Valve. We had to stop, though, because Valve isn't doing anything worthwhile anymore to report on. I'm sure Dota 2 and this Artifact card game will be competently made and enjoyable to those who like that sort of thing, but this is one the biggest figurative slaps to the face I've ever received -- and that's coming from the perspective of someone whose intense Valve loyalty came entirely from Half-Life, Portal, and Left 4 Dead. NOBODY makes narrative-driven, singleplayer games like Valve does -- or rather, did -- and so I'm more heartbroken than angry.﻿"
"let see if this can beat Official Call of Duty®: Infinite Warfare Reveal Trailer"
"WE GET IT GABE YOU LIKE DOTA﻿"
And last but not least, here's a video with audio of the crowd's reaction when the teaser was revealed at the Dota 2 competition, The International. There's some clapping sure, but there's a whoooole lot of disappointed "aww"s and even outright boos. Will Artifact turn out to be a fun game worth playing? Maybe. But it's clear Valve's gonna have to try pretty hard to win people over.